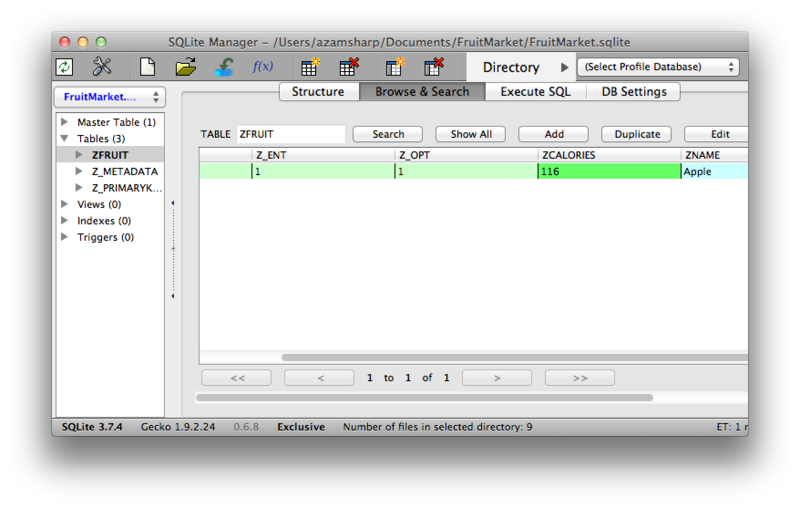 In one of the previous articles we learned how to insert data into the Sqlite database using FMDB wrapper. Apple also provides a built in data management library known as Core Data. Core Data is an object relational mapper which can be used to perform CRUD operations on a Sqlite database. In this article we are going to learn how to use Core Data in our application. A new Core Data file will be generated with the extension xcdatamodelId. This is our model file which will map to the database. Just like any other Object Relational Mapping tool the Core Data uses the Active Record (link) pattern. Active Record pattern indicates that the column names will be mapped to the properties and the table name will be mapped to the classes. Open the AppDelegate.h and AppDelegate.m file and you will notice that xCode has already declared classes required for the Core Data framework. In the next section we are going to create our model. Our first model is complete! In the next section we are going to insert data into the Sqlite database using our Core Data model. NSManagedObjectContext is responsible for keeping track of all the changes in the model objects. NSManagedObjectContext is also responsible for all the CRUD operations performed by the Core Data framework on the Sqlite database. NSManagedObject represents the model class which will be persisted in the database. The properties associated with the model class can be accessed using the key-value pair. After making the changes run the application and your new model will be persisted in the database. As you can see the above code is much simpler than our previous implementation. In the next section we are going to demonstrate how to retrieve information from the database. The retrieval is performed by using the NSFetchRequest object. The returned model is a complete object with all the attributes populated. The implementation below shows the method “getFruits” which returns all the fruits stored in the “FruitMarket” database. The current “Fruit” model exposes two properties “name” and “calories”. We are going to add one more property “color” to our “Fruit” model. 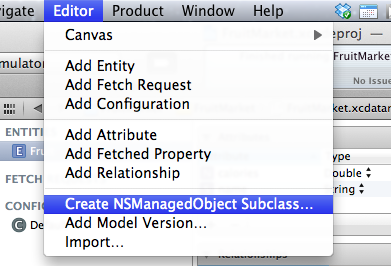 After the property is added to the model you need to generated new subclass by using the “Editor->Create NSManagedObject SubClass”. This will generate a new subclass with the new property “color” added to the model. 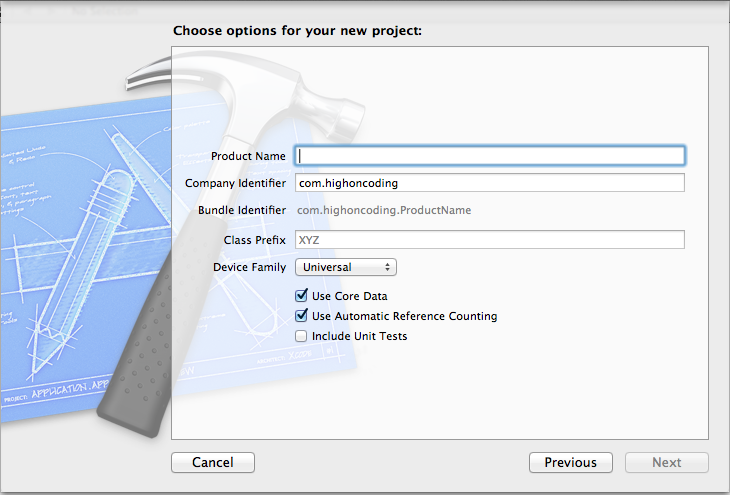 Now your Core Data is aware of the model changes and it will allow you to persist the new attributes in the database. NOTE: We have experienced that updating the columns in the sqlite database by manually adding columns does not work. If you want to reflect your new model changes in the database schema you first once persist the new model to the database. In this article we scratched the thick surface of the Core Data API. We learned how to persist and retrieve information from the Sqlite database. In the future articles we are going to further explore the features provided by the Core Data.